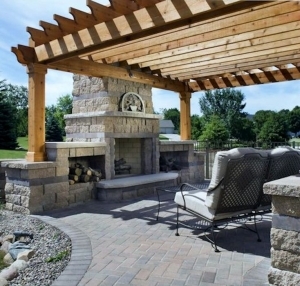 When the weather is nice, there’s nothing better than being outdoors with family and friends. Summertime in Michigan means being outside and having fun in the sun! What better way to entertain your guests than with a beautiful outdoor kitchen? 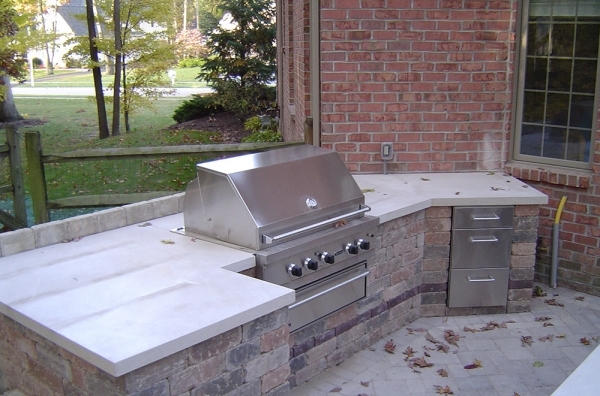 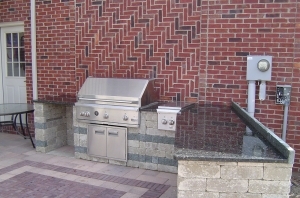 At Hardscape Solutions, we have been designing and building homeowners’ dream outdoor kitchens for over 25 years. 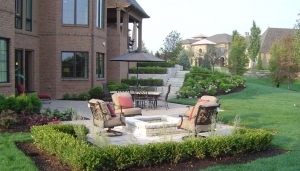 Outdoor living may be the most exciting portion of all of our landscape projects! 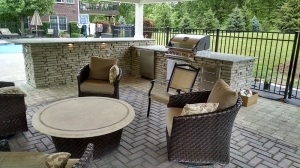 It allows our design team to be creative yet functional, extending your living space outdoors. 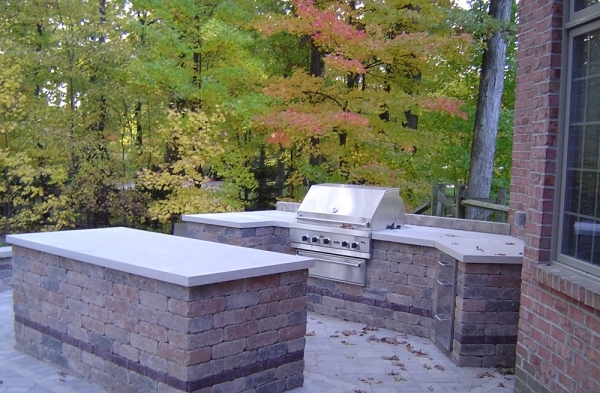 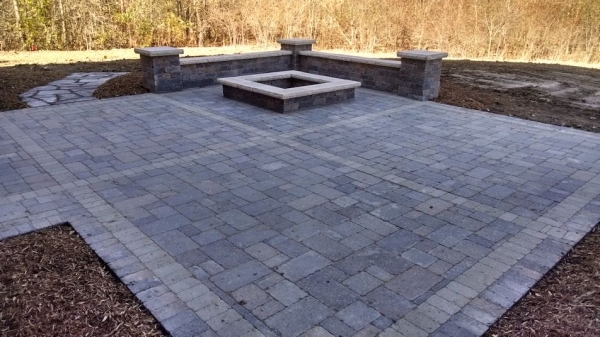 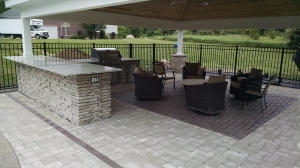 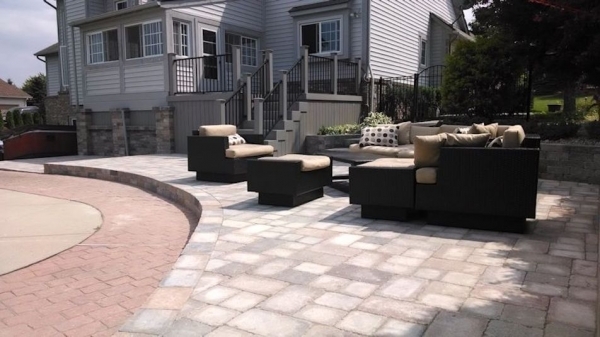 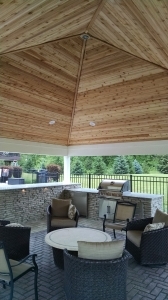 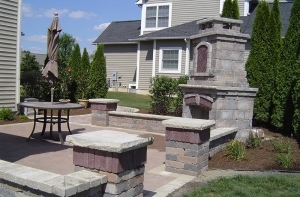 Hardscape Solutions can design and build an outdoor kitchen area for all of your entertaining purposes, a setting for casual conversation or just a place to go and clear your mind. Who says that you have to slave over a stove inside while your guests enjoy the nice weather? 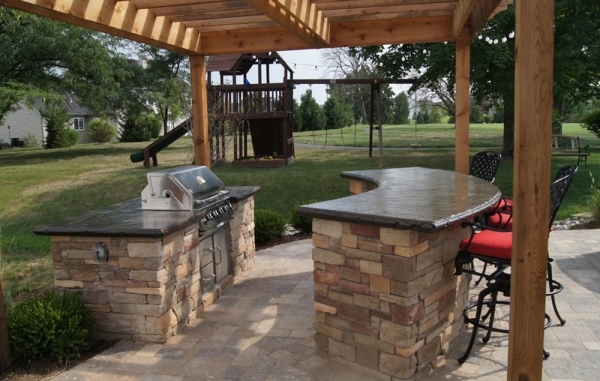 It’s difficult to entertain your friends and family when you’re constantly running in and outside to cook and serve! 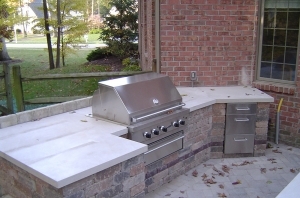 At Hardscape Solutions, we’re committed to giving our clients the versatility of an outdoor kitchen with all of the bells and whistles needed. Whether you’re looking for a simple grill or a custom creation with a fridge and stove top, our design and build team can create something amazing for you. 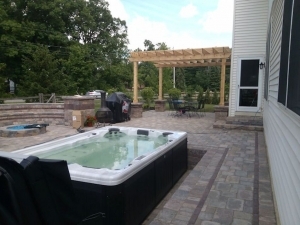 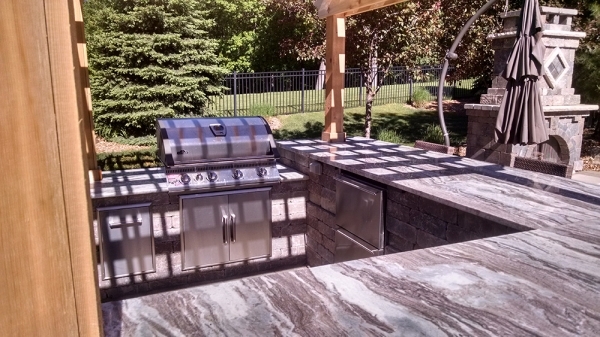 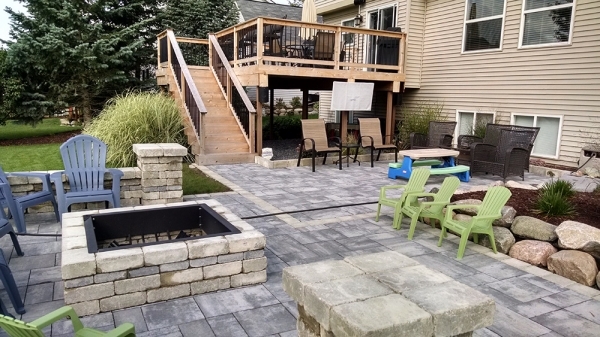 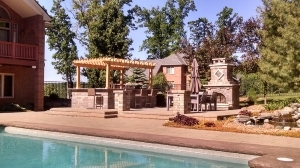 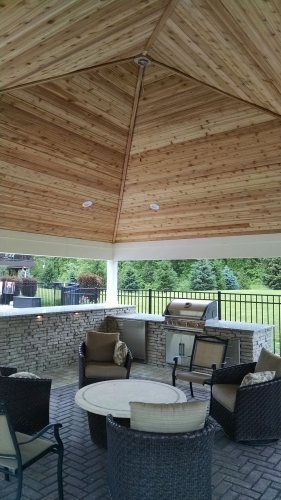 Michigan’s warm weather deserves to be enjoyed with those you care the most about; be in the middle of all the action with a custom outdoor kitchen from Hardscape Solutions! 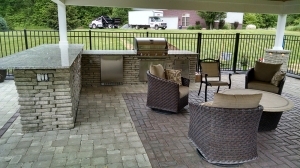 Outdoor living doesn’t just include kitchens! At Hardscape Solutions, our talents aren’t limited to just creating stunning outdoor kitchens. 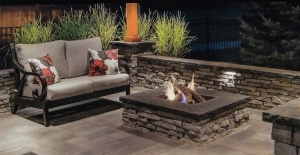 Our custom fireplaces and fire pits are a great way to enjoy your outdoor space year round. 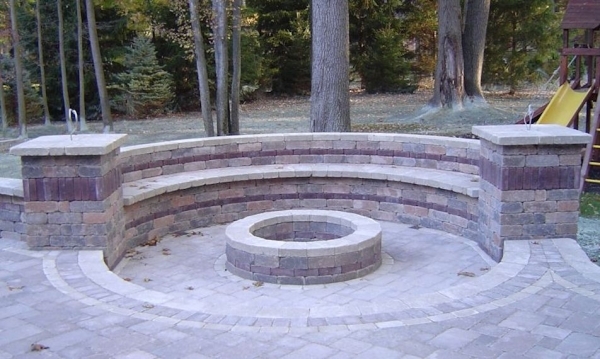 We can build seating walls for your guests to lounge on and even install outdoor showers! Simply let us know your dream backyard and we’ll find a way to make it a reality with our expert stonework and designs. To learn more about creating the outdoor kitchen or living space that you’ve always wanted, contact Hardscape Solutions today!